Rendezvous FC kept their Digicel Premier League title chase in the balance as they made light work of Crane & Equipment Ellerton. This in the opening fixture of yesterday matches at the Barbados Football Association (BFA) Wildey Astroturf. 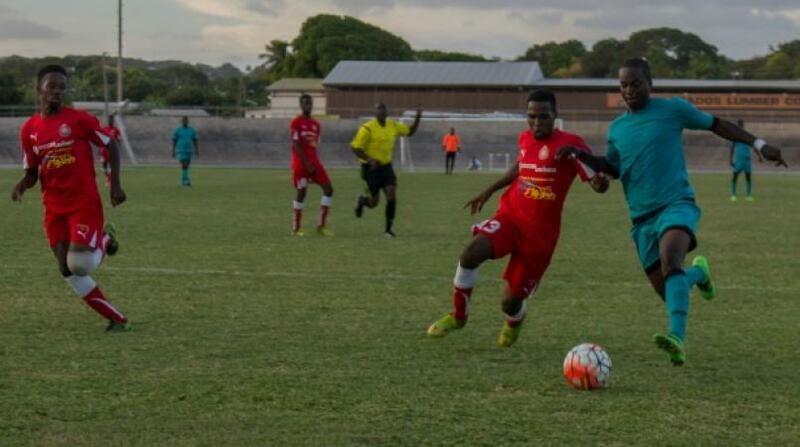 St Vincent and the Grenadines international Romano Snagg scored three goals to inspire his team to victory number six, which helped them to move on to 20 points and third position. Snagg scored his goals in the 45th, 60th and 82nd minutes, to take his tally to five goals for the season. He was well assisted by fellow Vincentian midfielder Damal Francis in the 65th minute and former Barbados player Carl Joseph, who marked his return to action with a goal in the 89th minute.